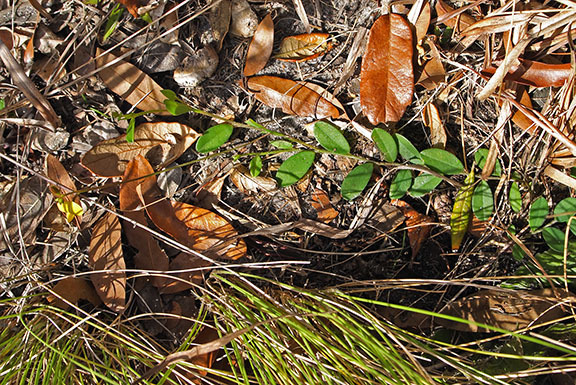 A typically small, low-growing herb of flatwoods, sandhills and dry disturbed sites throughout nearly all of Florida. 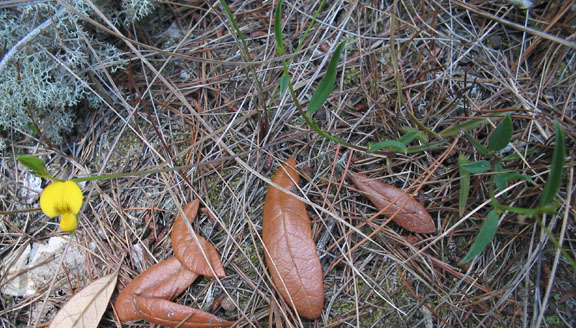 The range includes the coastal states from Maryland through the southeast into Louisiana plus Arkansas. 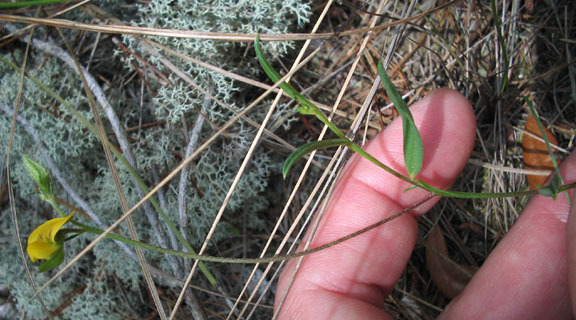 The hairy stems may be trailing or erect, with alternate, oval to elliptic leaves, strigose on the upper surface. 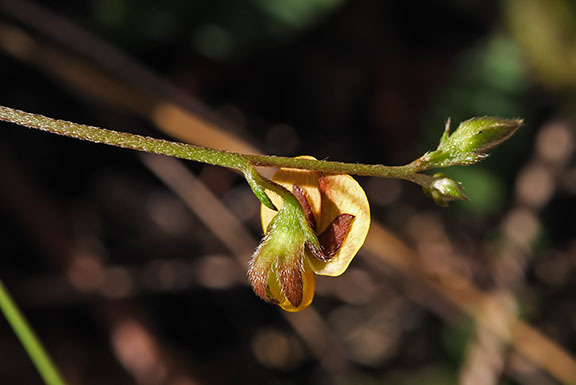 The small yellow pea-shaped flowers often have greenish lines, are on long stalks, and few in number. 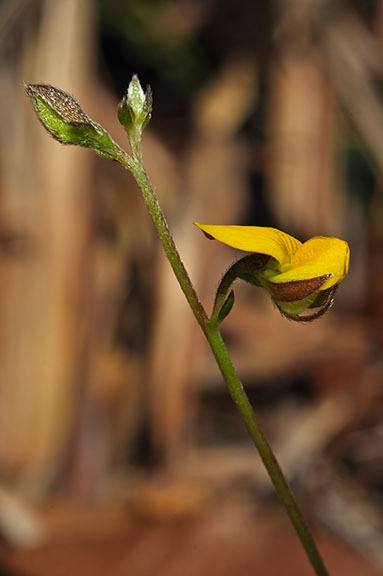 The calyx is five-lobed, hairy, with two sepals larger. 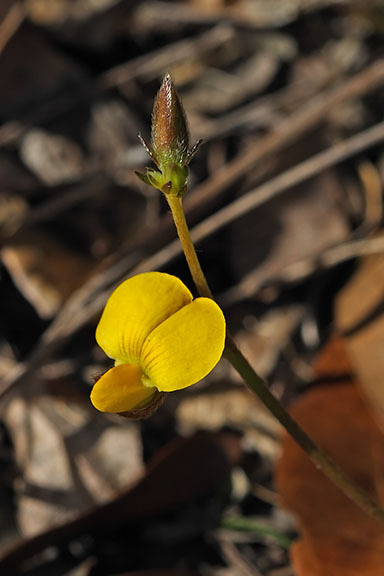 The fruit is an inflated, glabrous legume about 2.5 cm (1 in.) long. 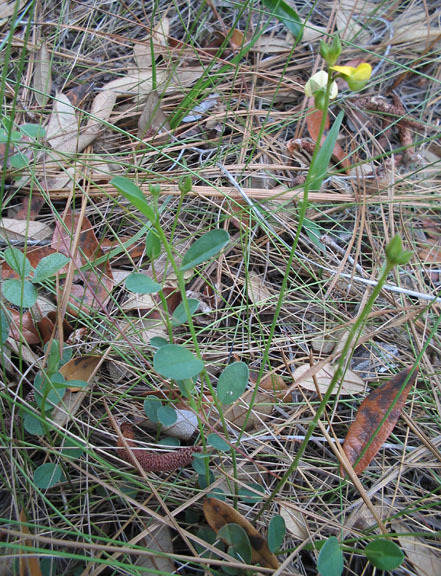 Crotalaria rotundifolia is a member of the Fabaceae - Pea family.